Everything is getting ready for the Phuket FIVB Volleyball Open. This great international event will start on 29 October to en on 3rd November. 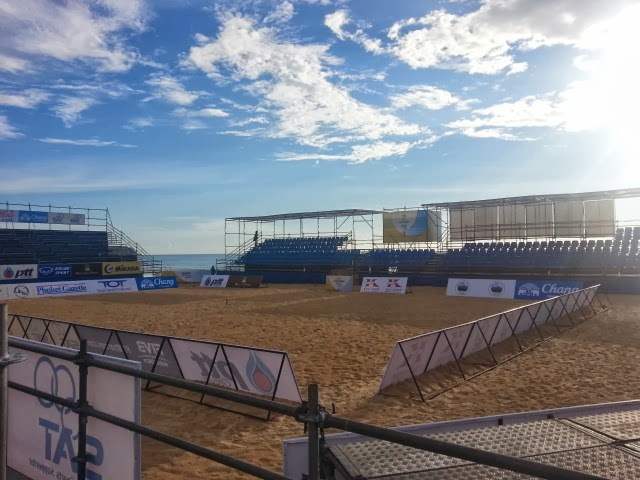 The teams will play at best at Karon Beach where sand is ready for them and the viewers. The weather should stay at it is now, blue sky with some white and foamy clouds that helps to keep the temperature down. Really can ask better. On 20th was last day of Buddhist Lent period, remember it started back on 23rd July. Weather was very different that day. The day is also called oog Pansa, that means end of the Lent. 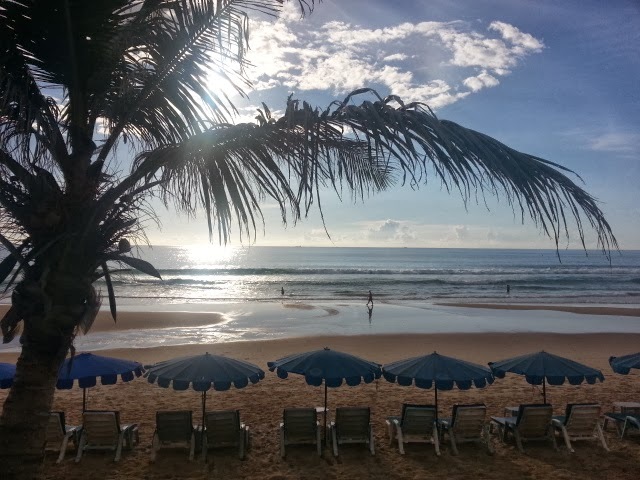 It marks the passage from rain season to dry and in Phuket couldn't be more true this year. Very nice and flat sea, only some shower at night that just lat one hour. This week also an important Thailand public holiday on 23rd October is Chulalongkorn Day or or “Piyamaharaj Day". 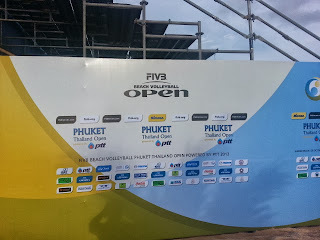 This is a very important day for Thai People. It is the memorial of the day when reverted and loved King Rama V passed away. Also yesterday weather was very good making great for those on holiday and those took a day off. 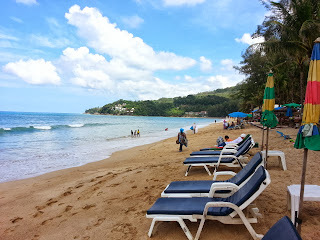 This morning again nothing changed and Kamala beach is ready for the season. Still my favorite place to chill out on week end. specially before gets to crowed during peak season. This morning was just perfect. high tide,, sun shining and not too many people. 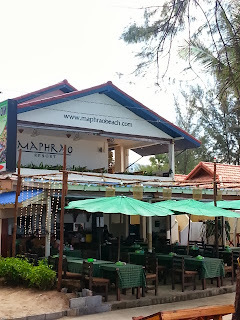 The Maphrao BeachResort is just in front the beach making this small guest house a perfect place where enjoy an easy holiday.